The first time we stumbled upon this next shop we literally felt like kids in a candy store! Sweet Lulu, founded by Jessie Senese, is pure party bliss! Filled with products to compliment any occasion, you could not possibly visit her shop and leave empty handed! 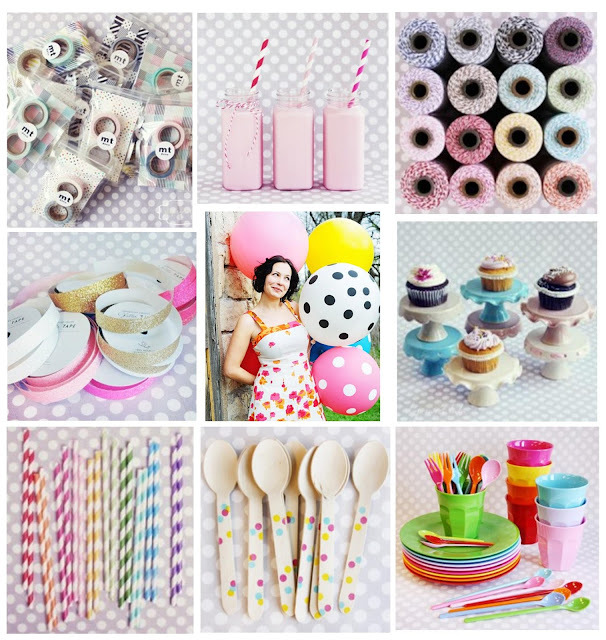 From striped and polka dot straws to cupcake liners in all colors and patterns to beautiful cake stands to display your sweetest sweets, Sweet Lulu has it all! Jessie just happens to be as sweet as they come too and is offering one lucky reader a 25.00 gift certificate! Just leave us a comment on what your favorite item in her shop is... if you can choose just one! We will pick a winner at random and announce them on our blog Monday! Be sure to leave your email address with your comment! Cake or Cupcakes for Valentine's Night !?! This year, I’m making red velvet cakes-in-a-jar with vanilla frosting and lots of sprinkles. Since Valentine’s Day is on a Thursday, I can send them to school with my kids for a sweet treat in their lunch boxes. Definitely homemade. I have saved every Valentines card my kids have ever made me. No question: Pink and gold! je t’aime. It’s the only French I know! I have a collection of vintage children’s valentines that I love to play with – the artwork is so sweet and charming! This year, I’d like to make this! My husband just surprised me with a pink sapphire and diamond ring – so I think I’m all set this year! I am madly in love with our Love is Sweetinspiration shoot! Thank you SO much Jessie!! Happy Valentine's Day!! Ahh! 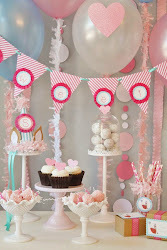 I love everything, it makes me want to throw a super cute party! If I had to choose just one thing, it would maybe be the 32" balloons. They look so fun! I have a thing for twine and wash tape too. There are just too many awesome things!! I love the cake stands, but especially the Rococo Noir Large Pedestal. I haven't seen black stands before, and this is simple and elegant. I have black wine glasses that go with my good china and it is always great to find other accessories that would work with a set table. I think the Rococo Noir stand would definitely make any cake look beautiful! It is hard to pick just one, but I really like the teal-colored pint containers and the mini chevron bags. The icing on the cake is how the products are shipped. Very pretty presentation! I love the paper straws...and the cupcake stands,...and the cupcake liners....ohh i could go on!!! I love them all !!! Cake stands, plates, cups ..... and craft supplies. Everything is just amazing. I love the colored twine, cake stands and anything with polka dots. For me it's the items that can be used on a regular basis that make the most simple moments feel special. Yes you can give your kids chocolate milk, but when you add a polka dot straw, you get smiles from ear to ear! Eating yogurt for breakfast is made special by simply adding a colorful spoon and lunches with the ease of bright washi tape. Too easy and too cute! Keep up the good work! Definitely the stripey straws. I got the Valentine ones for my daughter. And who doesn't love PURPLE stripes!!! The paper straws bring back so many great memories. Oops I'm dating myself! I LOVE Shop Sweet Lulu, and they are absolutely my secret weapon for put together gatherings! I just received my order for my daughter's upcoming 4th birthday and I used the excuse to buy the gold metallic Glitter Twine from Knot & Bow. Oh my goodness, am I in love! This is my new favorite item from the shop, but I'm sure it really is hard to choose just one! I am completely smitten by the straws and wooden spoons....easy way to jazz up a party!!! I absolutely need the acrylic ice cream cone holder! I love the little wooden spoons! They are adorable! I love vintage milk bottles, paper straws, cake stands etc.,etc.! Love those big, happy balloons!! A party must. I bought the lemonade jars and put some chalk board labels on them. We used them for my daughter's birthday; each girl used chalk markers to decorate her own bottle. After the party we cleaned them and filled them with candy for each girl to take home. I love the cake plates and craft supplies! I love the paper straws, but I'm even more in love with the glass milk bottles she sells. I get so many comments on them every time I use them! I have to keep a close eye on them because guests always want to stash them away in their purses. I love everything about sweet shop! I would have to go with the wooden utensils! Wow, what a cute shop! Love it all :) But I love the lovely ruffles cupake stand especially! 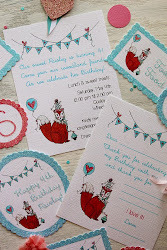 Like just about everyone has mentioned, I love it all too ;) But, I have ordered and used the plastic milk bottles (both round and square) for my daughter's 5th and 6th birthday parties, respectively (I had labels made to coordinate with the themes of 'Gingerbread House Decorating Party' and 'Santa's Cookie Workshop'... SO much fun!) Thank you, Jessie, for sharing your beautiful products with us! The cake stand of course! I love them! Just one favorite? That is a tall order...probably the large cake dome.